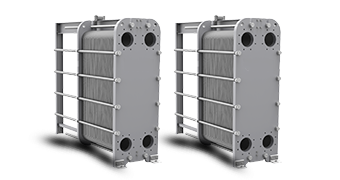 Replacement heat exchangers for Bell & Gossett, Armstrong, ITT, Cemco, Standard Refrigeration, Alfa Laval and others. 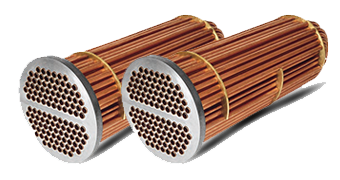 Tube bundles are available in a wide variety of designs and materials of construction. Custom bending equipment assures high quality and fast turnaround. Other considerations include heat-pump, air conditioning, and chiller applications. Plate and Frame Heat Exchangers, providing clients with flexible, reliable, cost effective means of achieving heat transfer; are used in functions for heat recovery, cooling, heating, evaporation and condensation in many industries including heavier industrial processes like chemical and pharmaceutical operations, oil production and power generation as well as HVAC, refrigeration, dairy and food processing, and engine cooling. 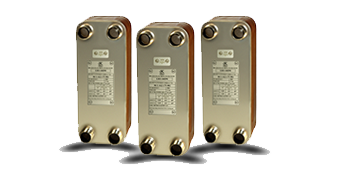 These heat exchangers offer efficient heat transfer in equipment with a small footprint. The units are easy to maintain and service and provide added utility with flexible design options using a variety of materials and plate designs.